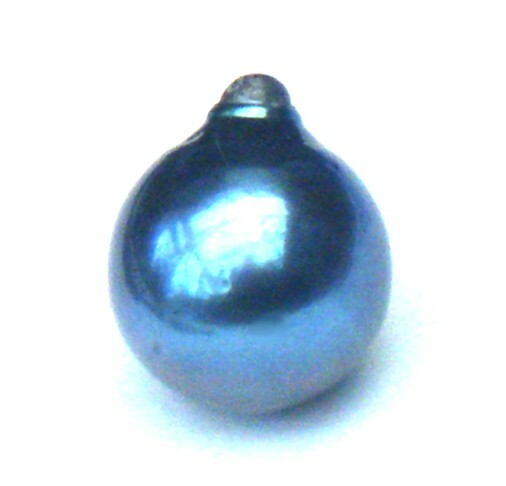 Blue pearls. Really rare. Right? The answer to that is both yes..and no. 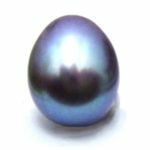 Blue pearls are possible in every pearl type – akoya, South Sea, Tahitian and freshwater. But within each type they are ..yes..rare. 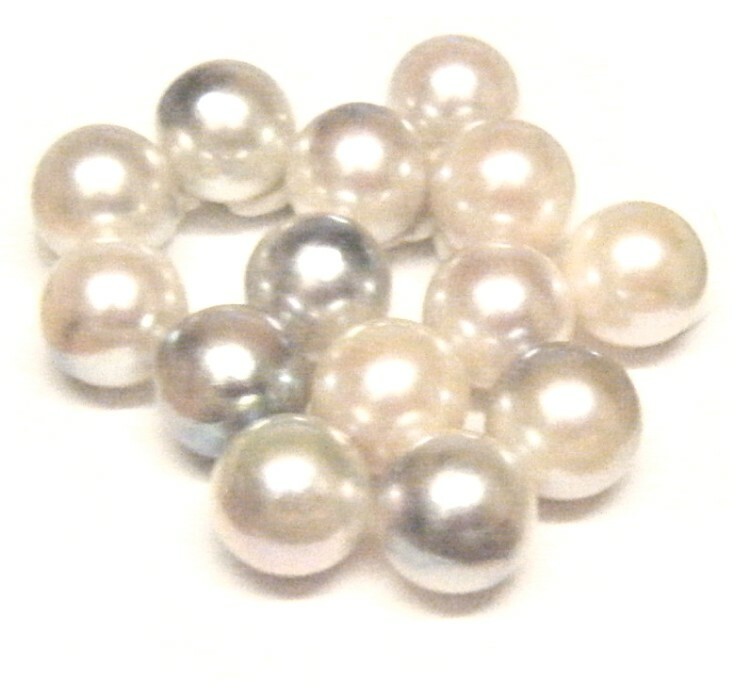 Until quite recently akoya pearls were white and round and that was that. Pesky pale pastel colours were bleached and then usually a delicate pink blush was added. 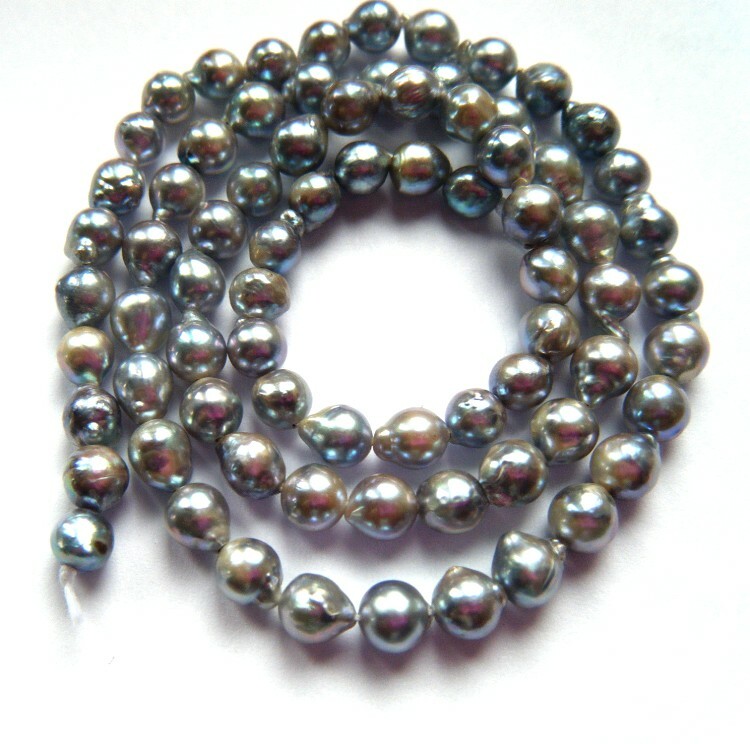 That is how akoya pearls had been for decades. Round and white with a hint of pink. 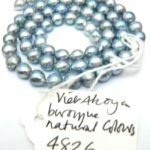 Then around five years ago akoya growers and dealers started to notice that freshwater pearls were selling by the hank in natural colours, not dyed or treated. 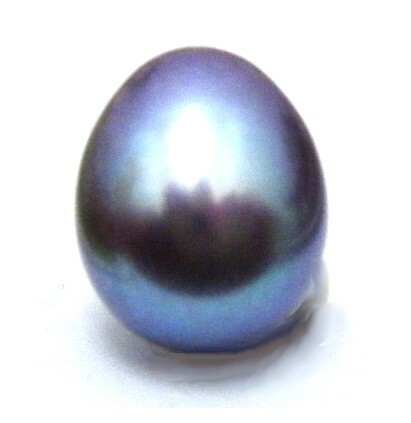 The first natural colour untreated akoya pearls appeared at Hong Kong. 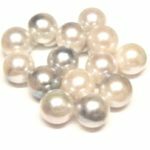 They were sort of under the counter or right at the end, sort of an apology, next to the seas of white and round and shiny. 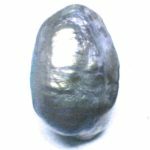 They were also very cheap compared to their white relatives. Single blue Vietnamese baroque akoya pearl. 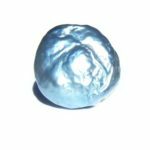 One of the things I noticed last March in Hong Kong was a few – a very few- freshwater blue pearls. Blue pearls have been foreshadowed by the blues in ripple pearls for a couple of years. 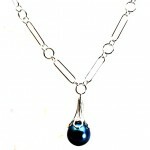 Some ripples have displayed patches of strong blue colour but blue freshwater pearls. That is something quite quite new. 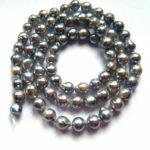 Tahitian black pearls are, of course, never black. Mostly they are greens, but very very occasionally there is a blue one. 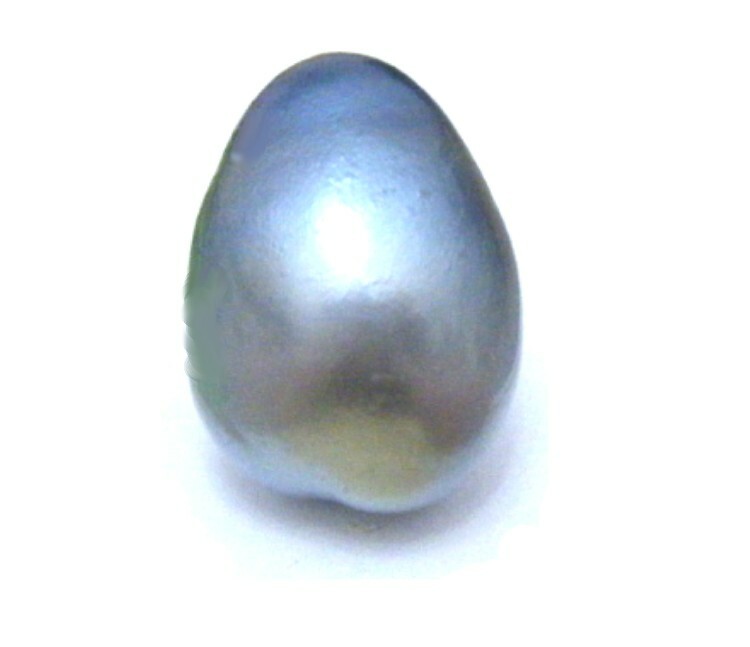 Often the blue is a patch, almost just a glimpse in a peacock effect on a green pearl, or a shimmer of overtone from a certain angle, but just occasionally a really individual oyster manages a true blue pearl such as the one shown here. 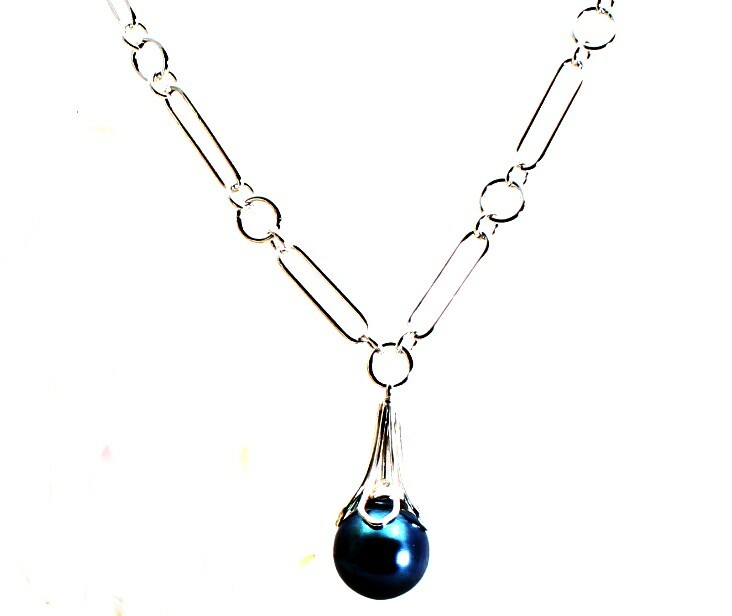 That blue tahitian was the inspiration for this handmade chain necklace in white gold. Blue pearls from the south seas are perhaps the pearls we all think of when we think ‘blue pearls’. 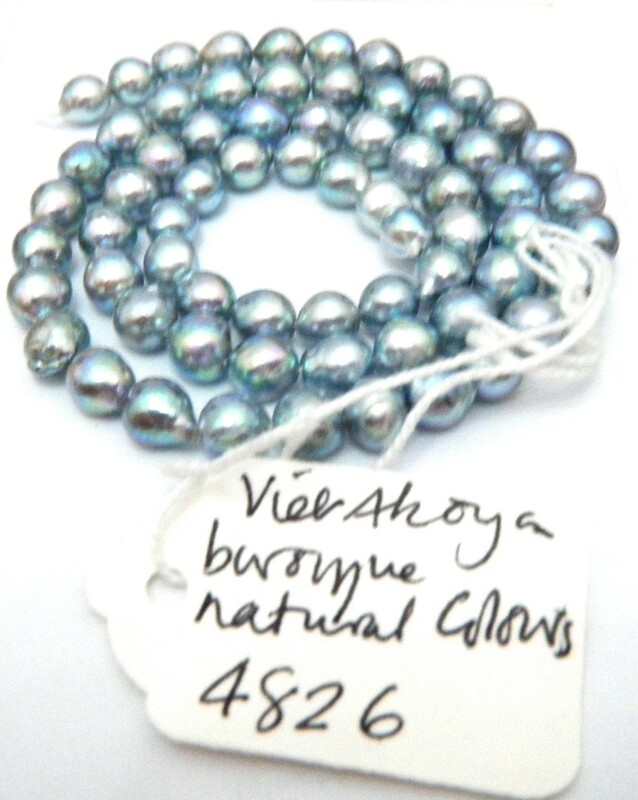 They are nearly the rarest of the south sea colours (the greens which are actually blues with organic reside inside (!) are probably the very rarest) and hauntingly beautiful. They come in shades from the palest blue – almost just a blush, to a deep dusty blue, but Royal Air Force uniform blue is the usual shade. Huge hollow blue south sea baroque pearl. 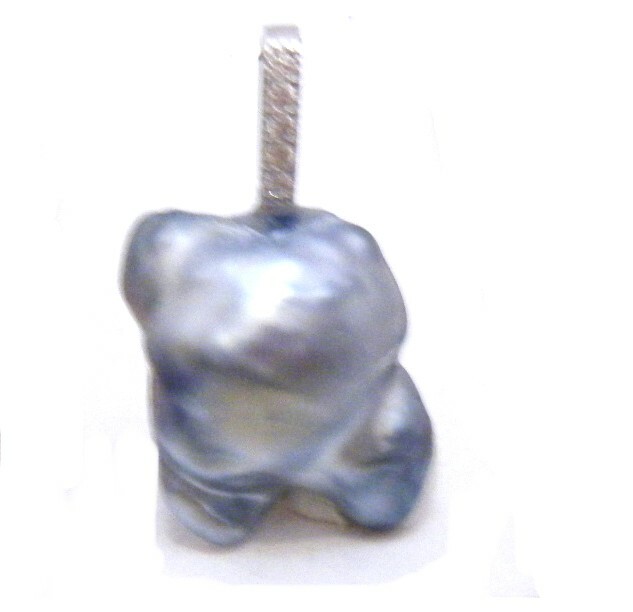 We had some fun with some mis-shaped Blue south sea pearls I brought back from Hong Kong last trip and made them into what we’ve called ‘pokemon’ pearls – this is a little dancing man! So, there we go. 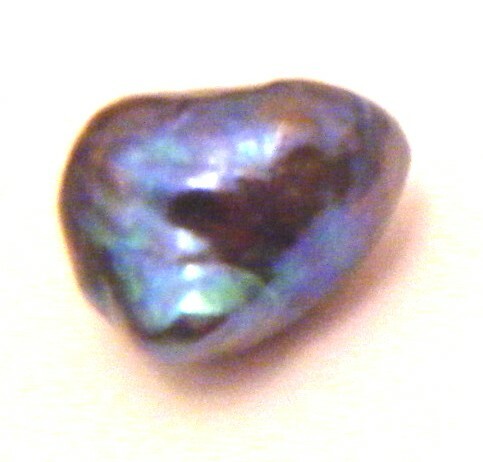 Blue pearls are possible in all pearl types. 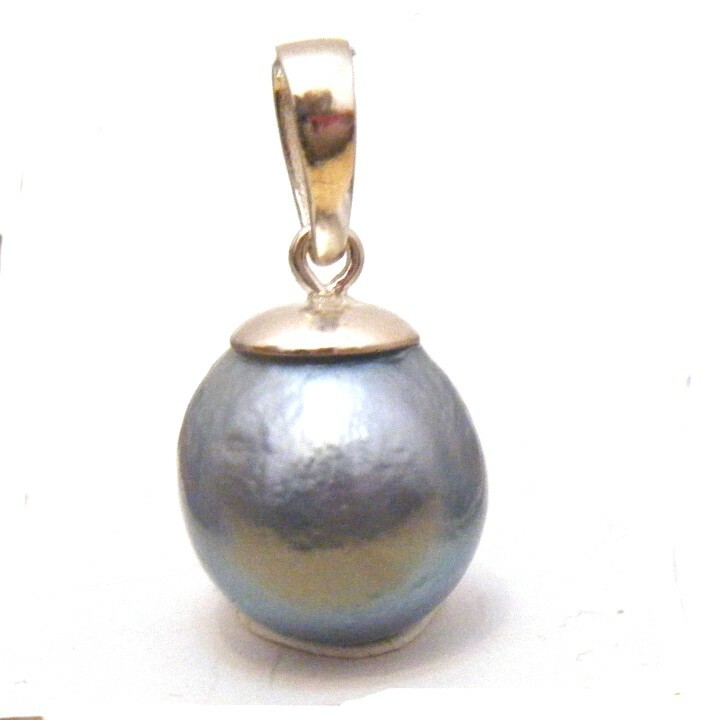 But as colours go, they are the exception rather than the rule. This entry was posted in World of Pearls and tagged akoya blue pearl, akoya pearl, blue freshwater pearlblue tahitian pearls, blue pearl, blue pearls, blue south sea pearl, blue south sea pearls, blue tahitian, blue tahitian pearl on April 27, 2017 by WendyG.